The polar blast continues here in Columbus, Ohio and elsewhere in the Midwest. It's 10 F as I write this, and will drop below zero tomorrow night. It's been frigid for a while - a true winter! - although it is projected to warm significantly next week. I've been working through photos from a Florida trip of last February - paring the wheat from the chaff, labeling, and archiving. 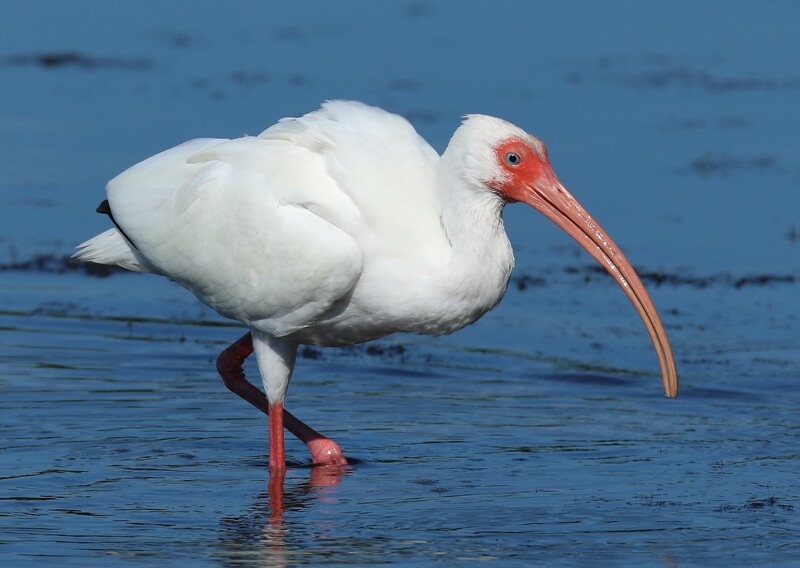 Just looking at all of these Floridian birds makes me feel warmer, and the images bring back memories of basking in balmy Sunshine State weather, often only arm's length from excellent subjects. If you like to photograph birds, it's hard to beat Florida. All of these, with the exception of the burrowing owls, were shot at either Ding Darling on Sanibel Island, or Gatorland near Orlando. 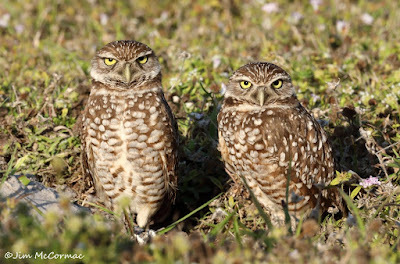 The owls were some of the many that call Cape Coral home. The drive through Ding Darling produces LOTS of birds, and lots of photo ops. 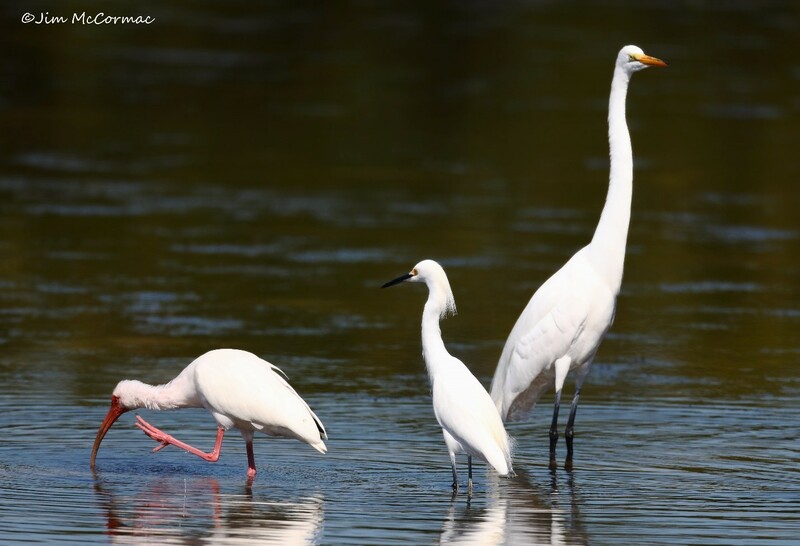 Here, from L to R, is a white ibis, snowy egret, and great egret - studies in elegant whites. A snowy egret, yellow slippers on display, drops in for a landing. 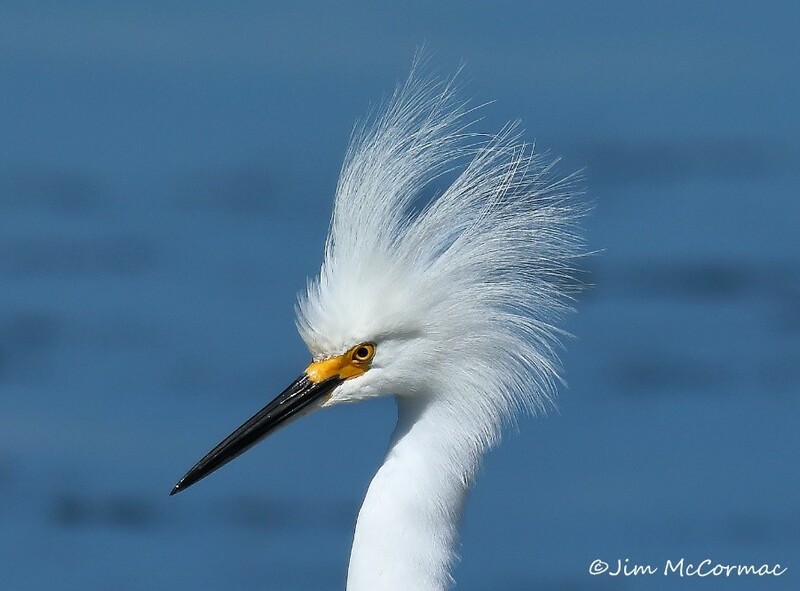 Gotta love the wild head of plumes on a snowy egret. I came back from this trip with many thousands of images, thanks to numerous encounters with photogenic beasts such as this. A tricolored heron rages through the shallows. This is a hyperactive hunter, chasing prey, flapping wings wildly, and in general acting spastic. Quite a contrast to the much more sedate, studied tactics of a great blue heron. 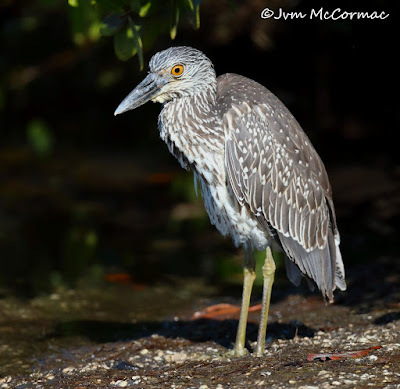 A goggle-eyed juvenile yellow-crowned night-heron lurks at the edge of some mangroves. It, as should be surmised from the name and huge eyes, does most of its hunting after dark. As always, click the photo to enlarge. And in this case, admire the amazing cerulean-blue eye of this white ibis. 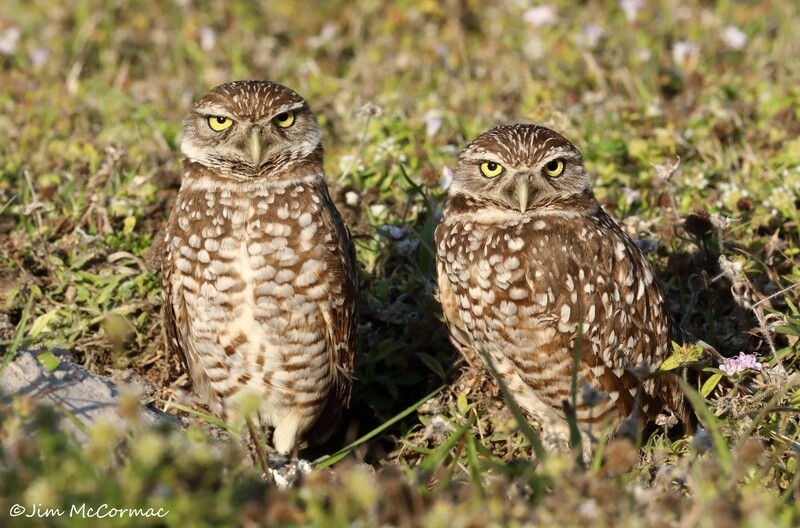 Two of the many burrowing owls that make Cape Coral home stand sentinel at the entrance to their burrow. This city - either the largest or second-largest of any in Florida by acreage! - harbors a large population of these subterranean nesters, and I've written more about them RIGHT HERE. Beautiful photos! Sitting here in New York, just after the Blizzard, its nice to think of the warm marshes and waterfowl of Florida. I've been to both Sanibel Island and Ding Darling multiple times. They are both gorgeous and important habitats. Thanks for sharing!! Stay warm.